Highly Recommend written by mobile Maybssen Baby Food Maker. Delivery was fast. Item came as described. Have yet to try it. Thanks seller! Highly Recommend written by mobile Item is perfect and easy to use. Cheap and good. Item is easy to use. Though no English manual to come with it. Highly recommended for mommies. Delivery was fast too. the item took about a month to reach me, which i am quite upset with. I tried to use the cooker and the buttons are abit not reactive, will need to press a few times before the blender and the steamer start to work. Item receive on time.. yet to use it.. hope it turn out to be good..
Hi for maybassen food maker pink, is it can use for steam n blend ? Can steam also ? Whats the different with maybassen the other type? Do you sell the rusch steamer basket and the blade only? 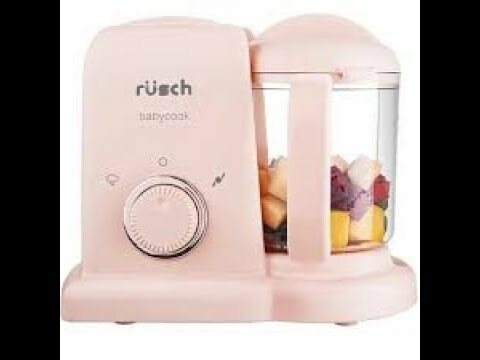 Hi does MAYBSSEN BABY LED DISPLAY food processor comes with the steam food liner which can use to steam rice and free adapter??? Hi, had u received the item and checked it? Hi, I had returned the product, tracking number is RX114203862SG. I had also paid the postage, please advise how would this refund be made. Please see the attached qxpress delivery receipt.